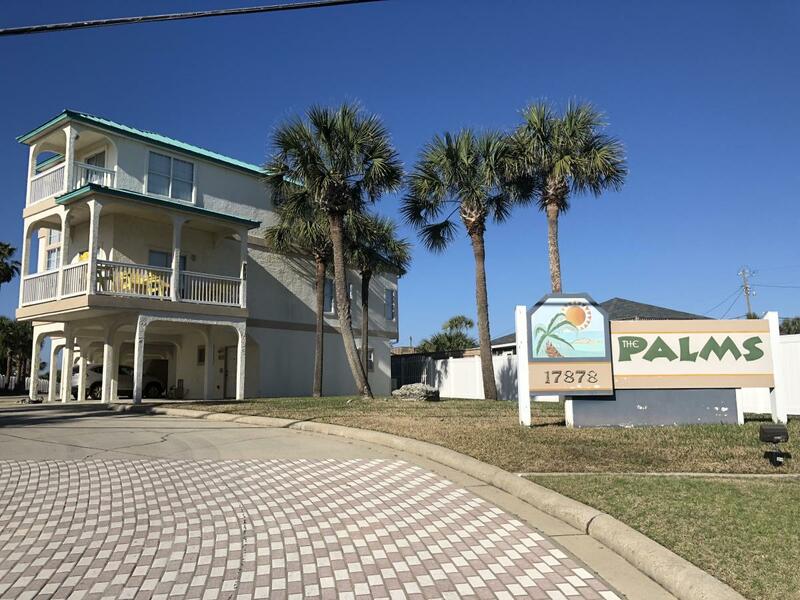 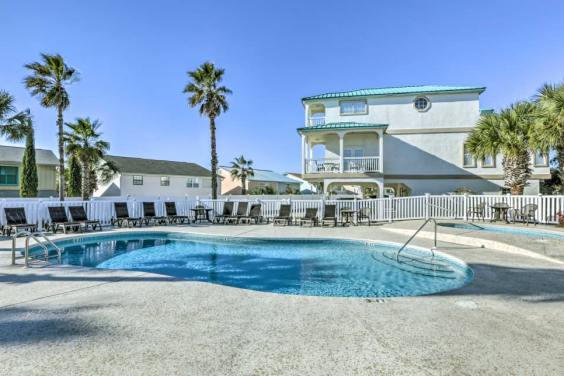 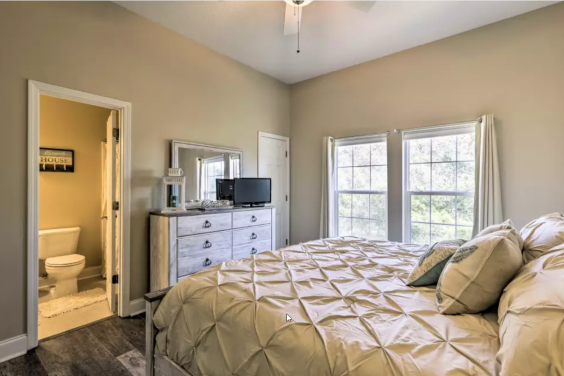 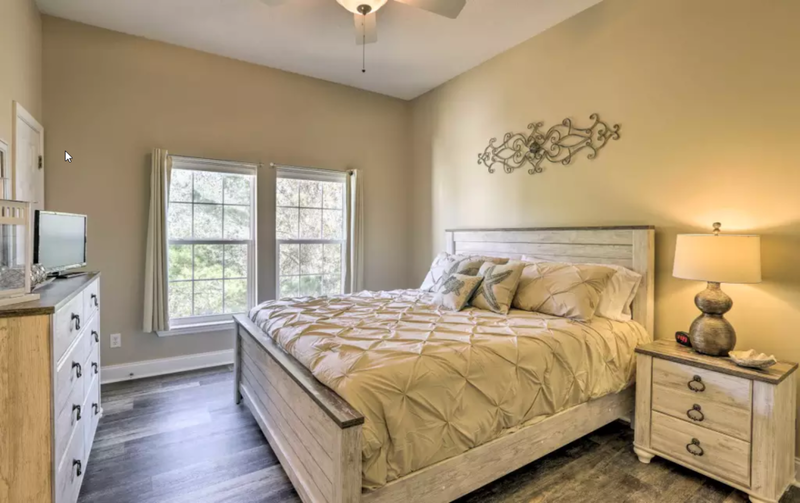 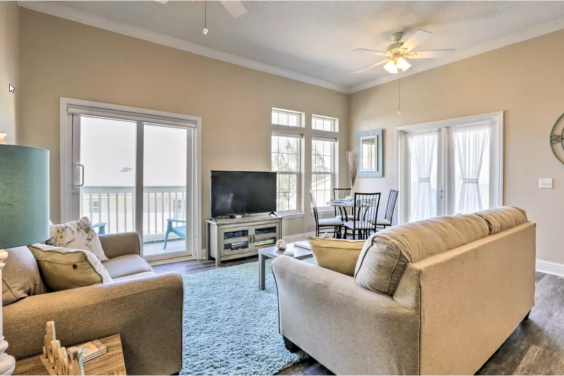 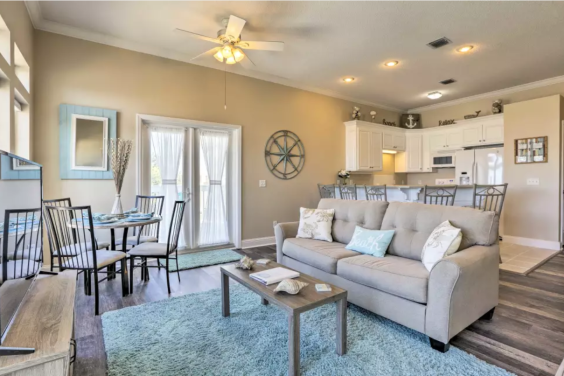 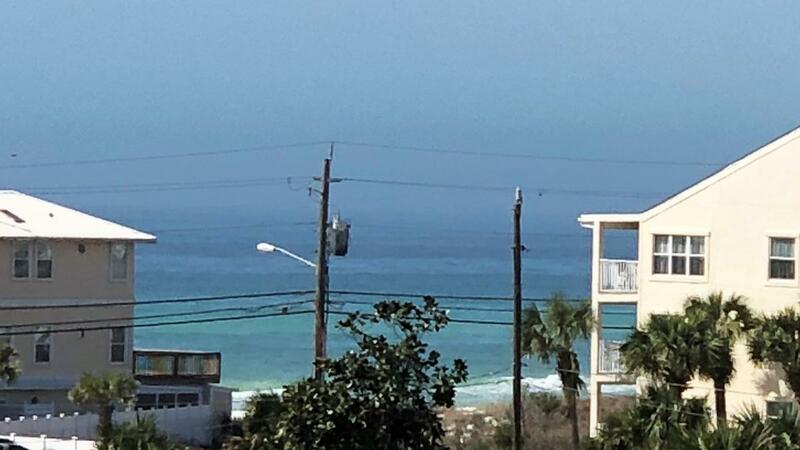 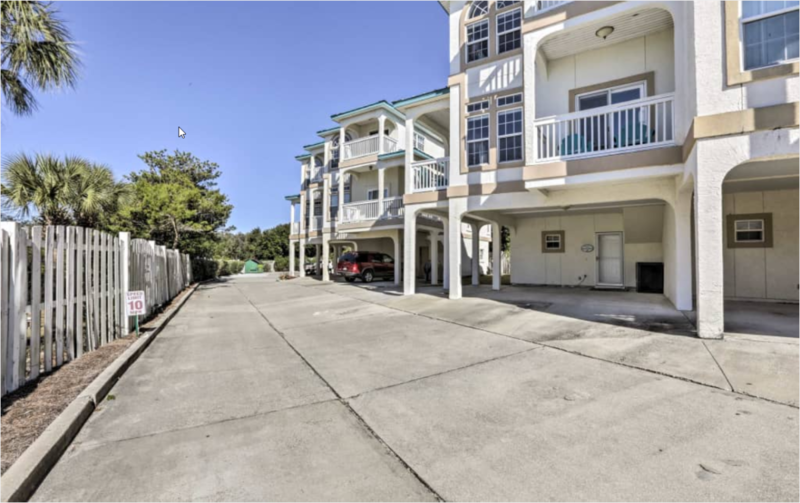 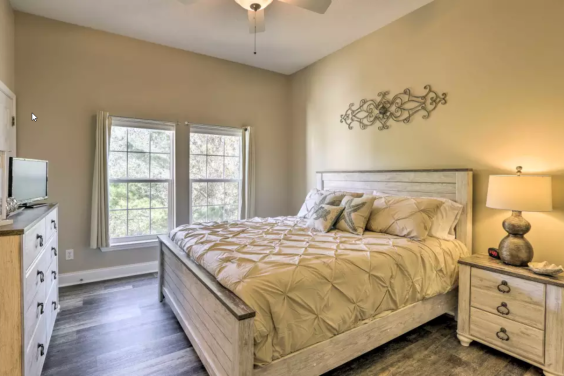 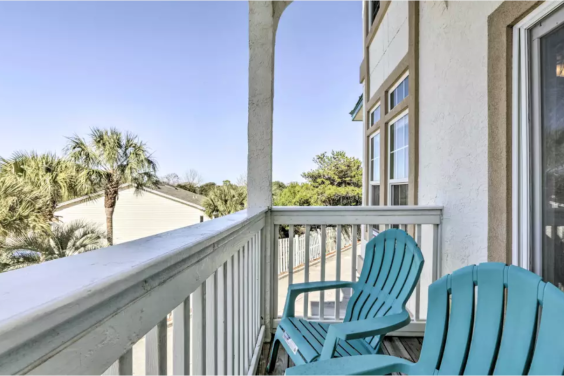 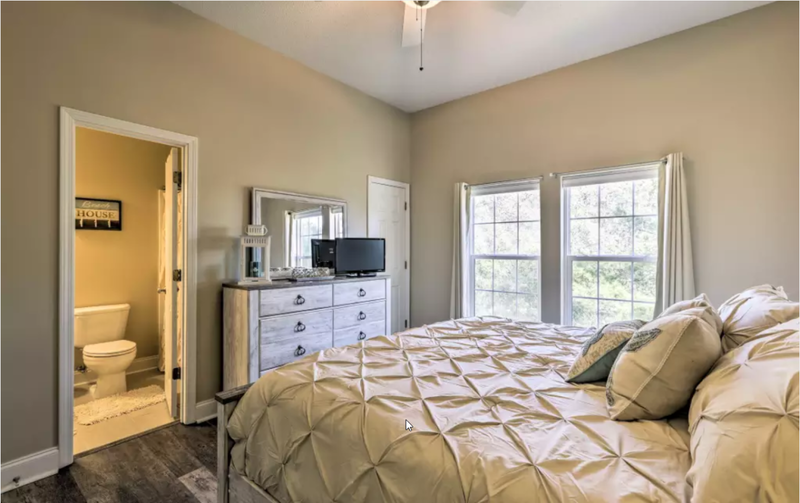 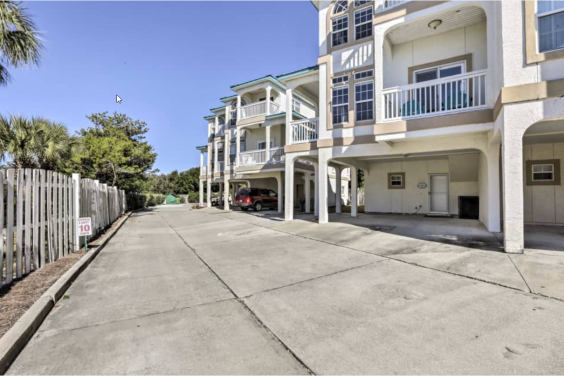 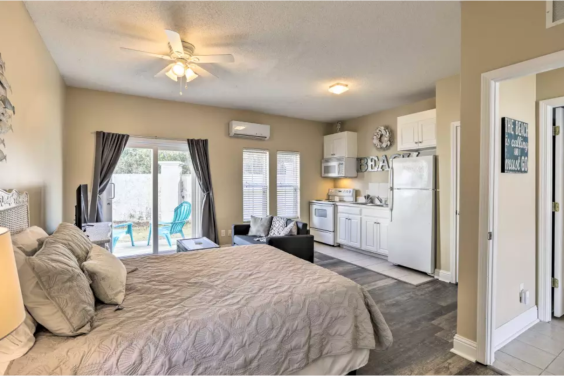 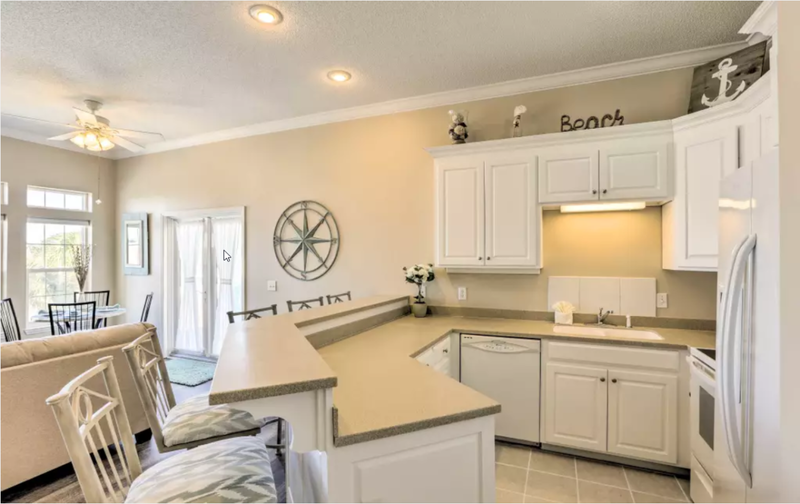 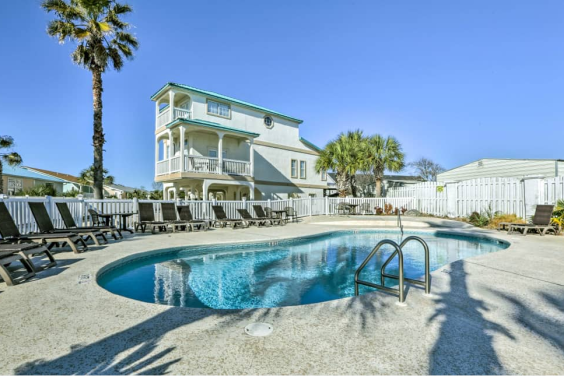 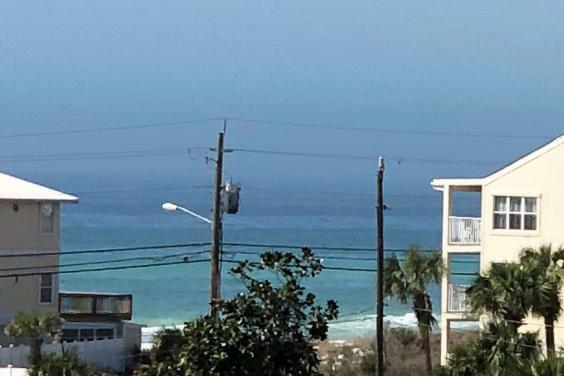 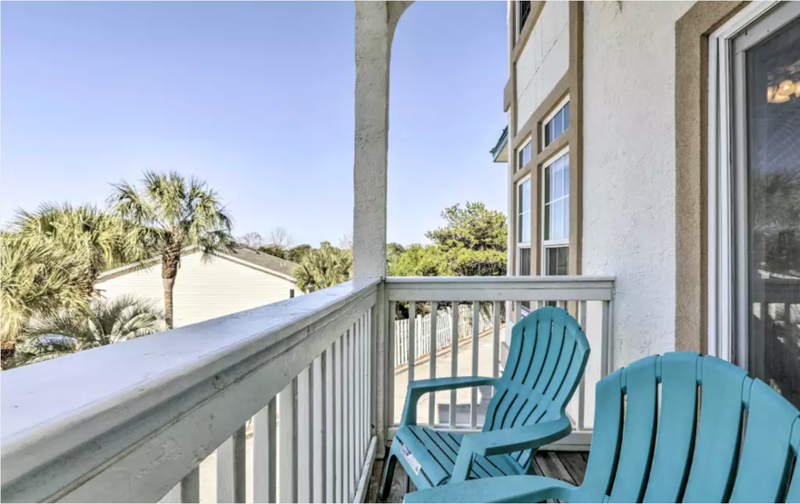 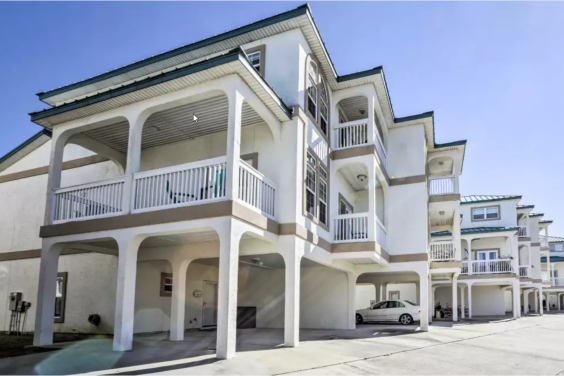 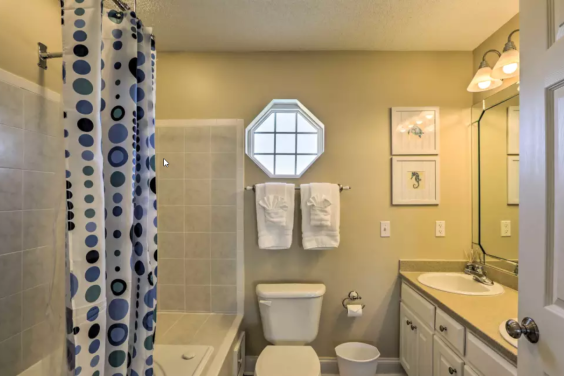 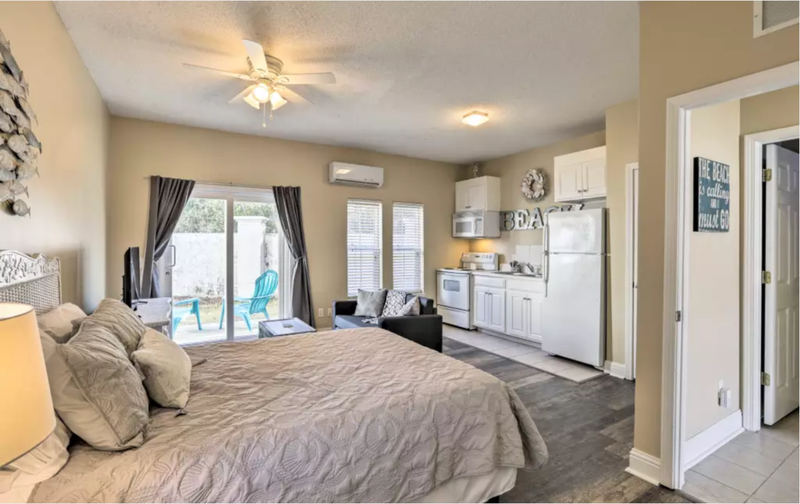 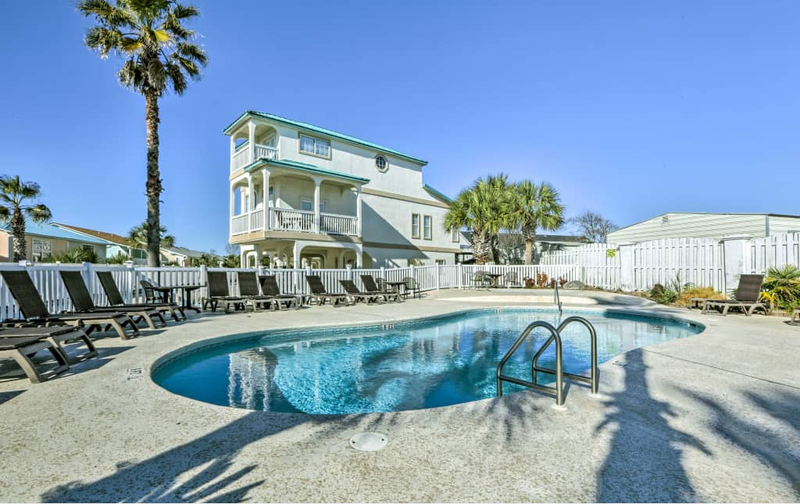 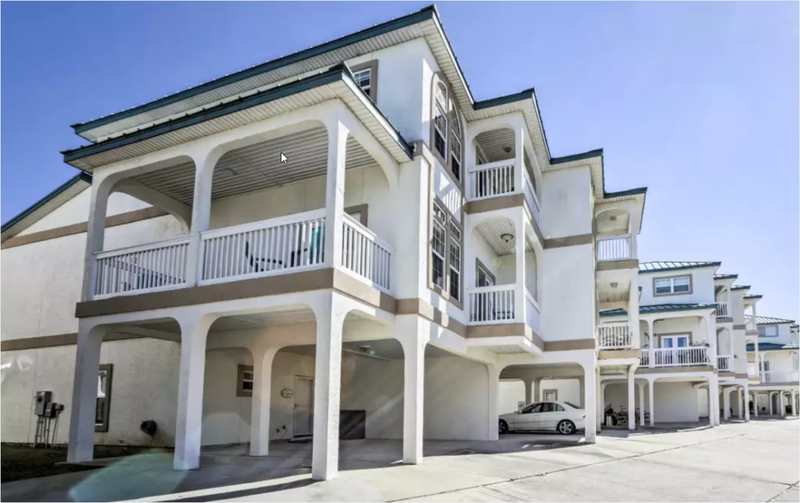 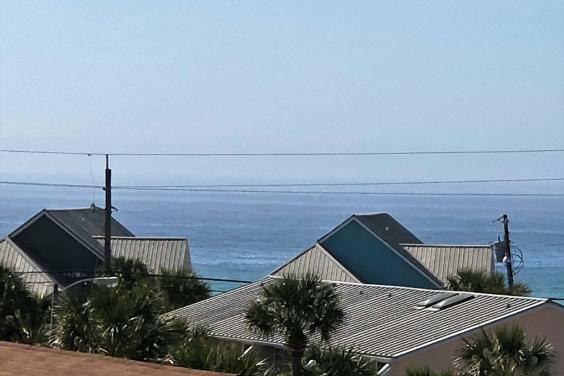 Experience the coastal paradise of Panama City Beach from the comfort of 'Bare Feet Retreat,' a 3-bedroom, 3-bath vacation rental townhouse steps from the beach. 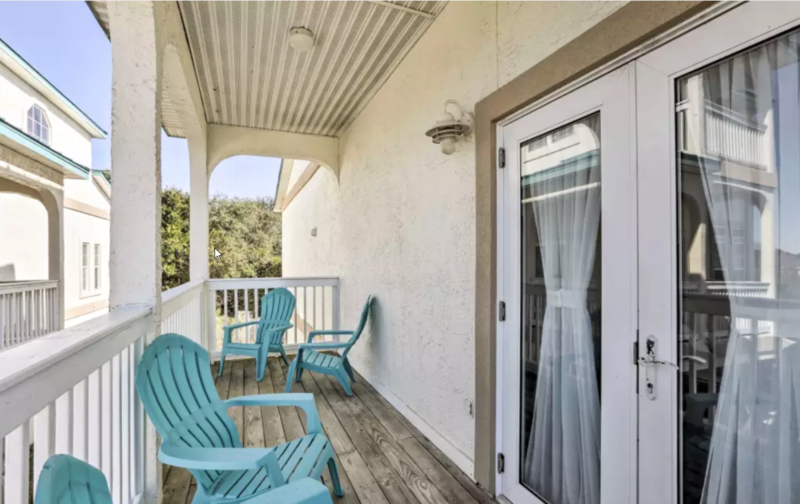 Complete with 4 flat-screen cable TVs, 3 balconies, and ocean views, this 2,000-square-foot home for 12 is the perfect home base for your Sunshine State sojourn. 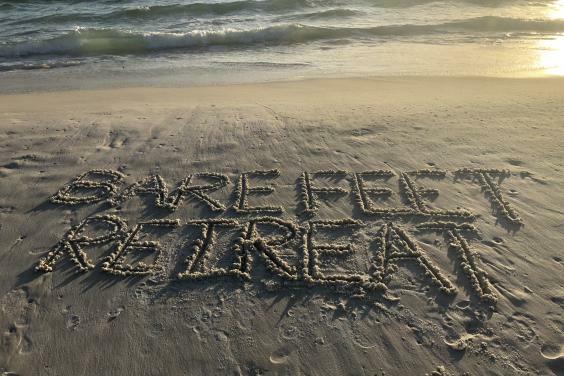 Whether you spend your days baitin' a hook in the Gulf or taking advantage of PCB's bustling nightlife, you'll look forward to retiring to 'Bare Feet Retreat' every night. 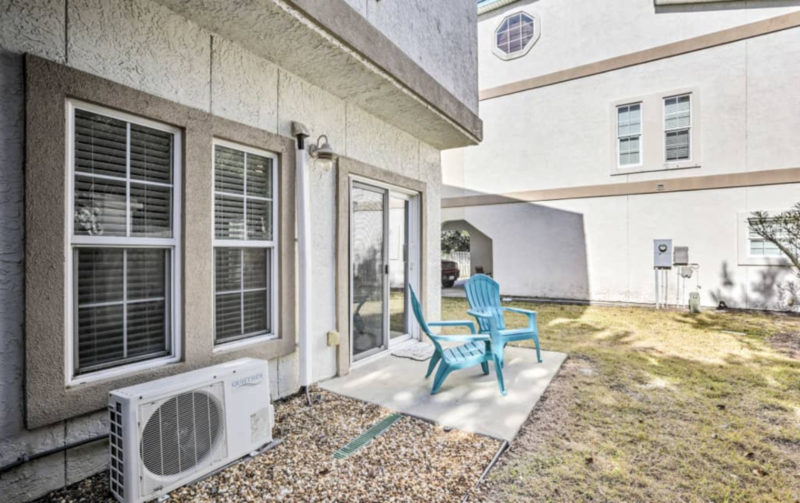 After a day in the Florida sun, luxuriate in the townhouse's first-floor studio. 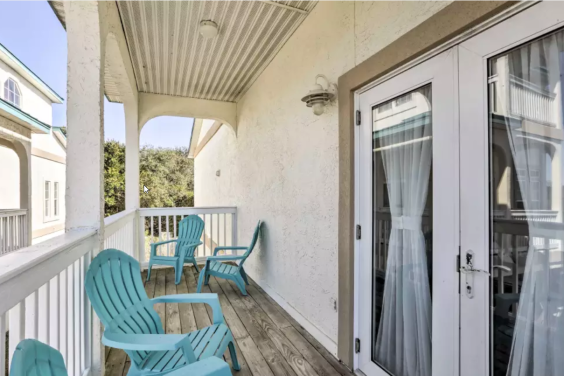 Boasting a queen-sized Sleep Number bed, 40-inch flat-screen cable TV, and a well-equipped kitchen, this beachy space has everything you'll need to de-stress. 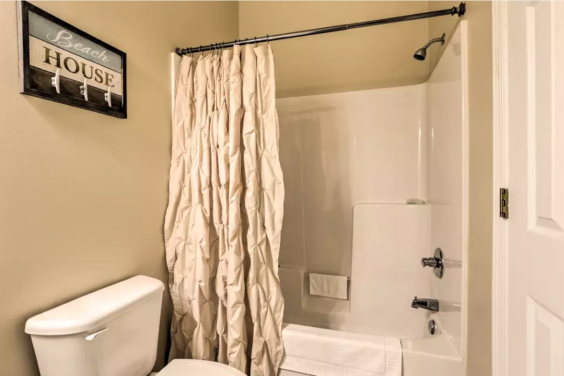 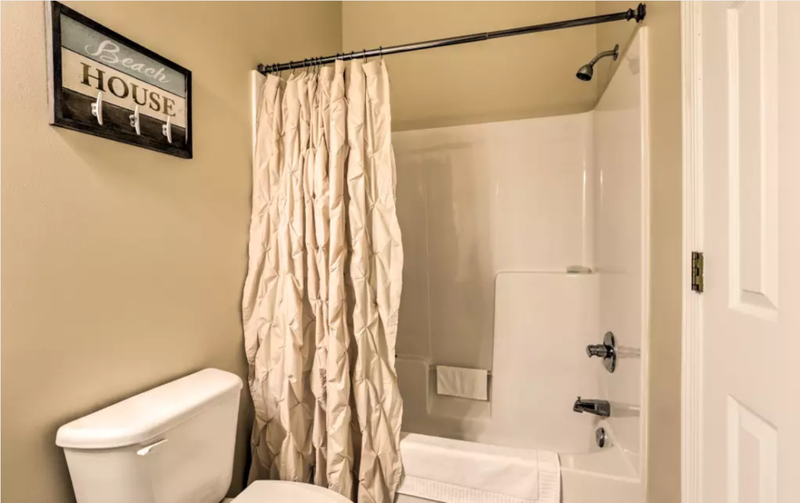 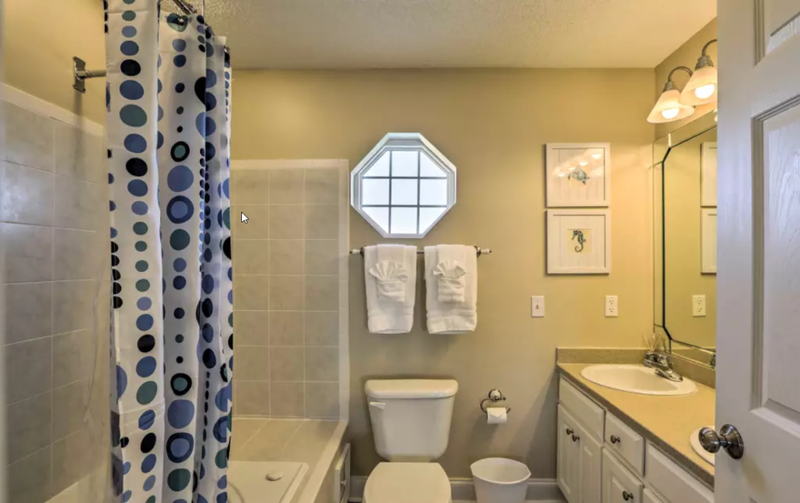 Before bar hopping down Front Beach Road, be sure to rinse off the sand in the studio's spacious walk-in shower. 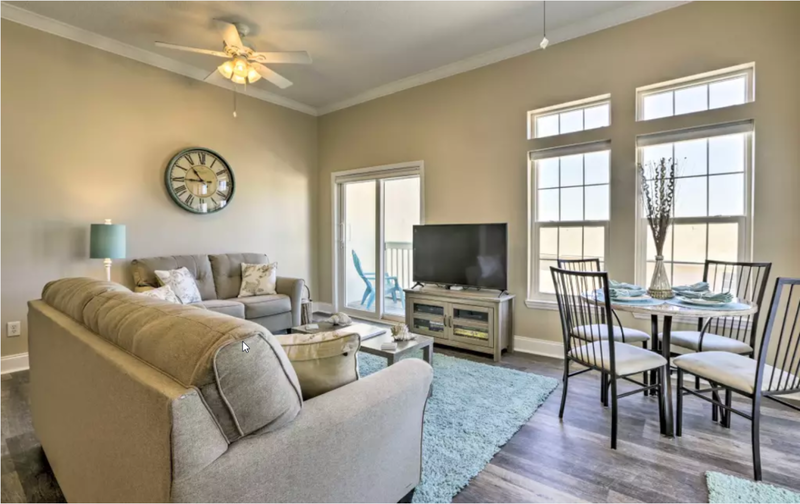 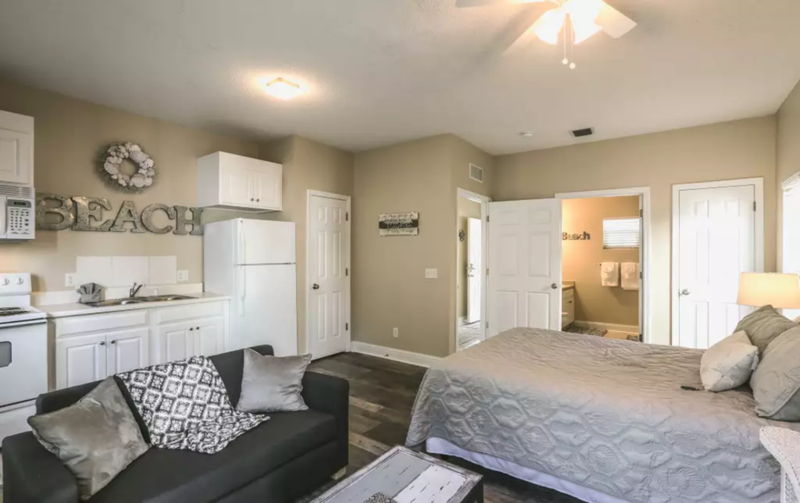 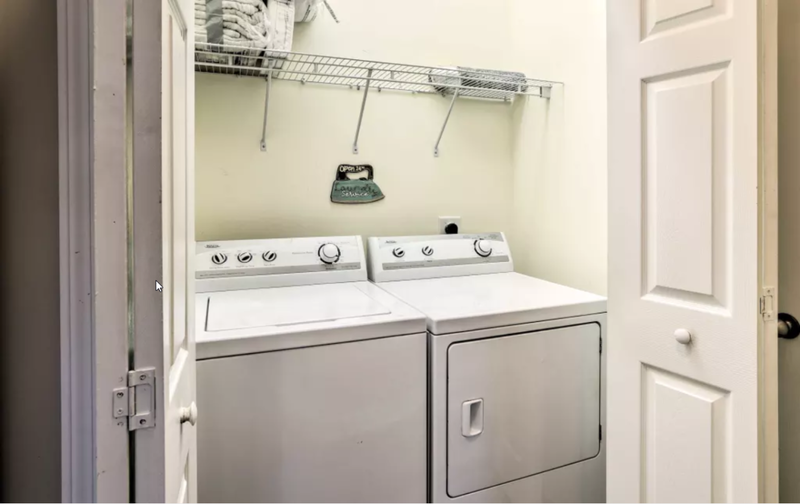 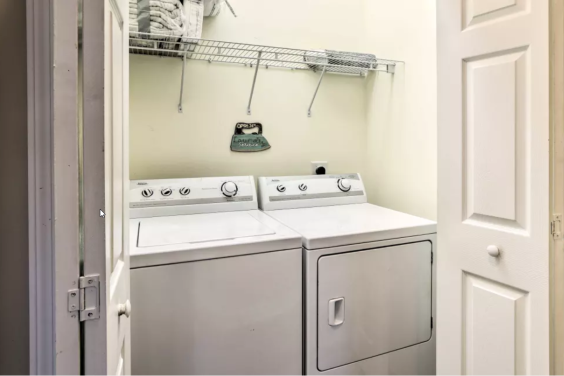 The main living spaces on both the second and third floors feature 10-foot ceilings throughout, providing a much more spacious feel than the ordinary condo. 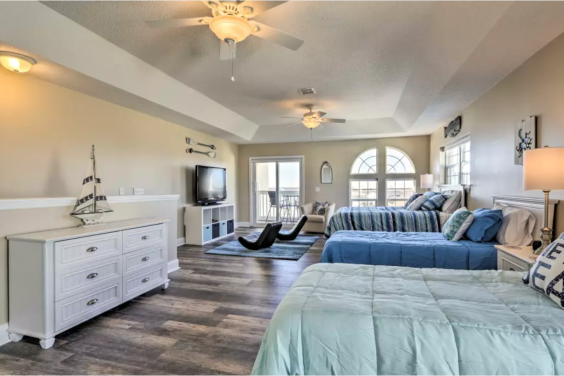 With modern comforts and luxurious amenities on each level, you'll enjoy a true home-away-from-home experience. 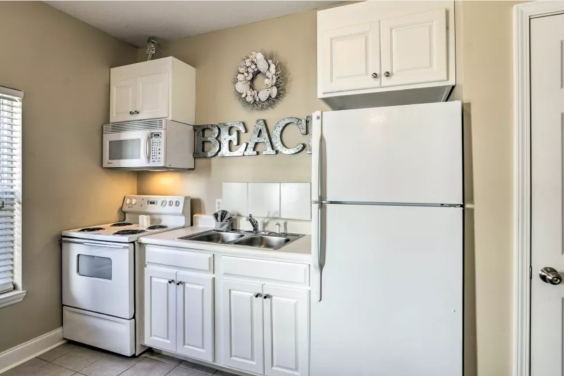 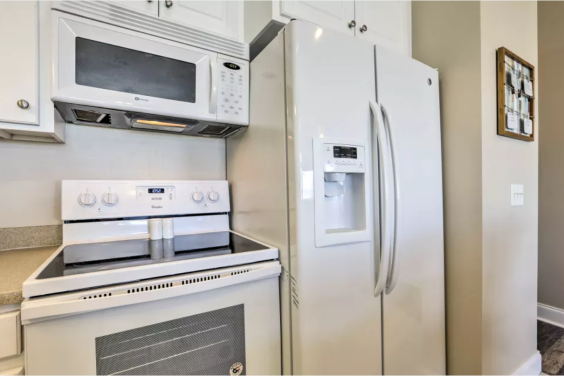 After watching the Seminoles game on the 50-inch flat-screen cable TV in the second floor, head into the fully equipped kitchen and channel your inner Iron Chef. 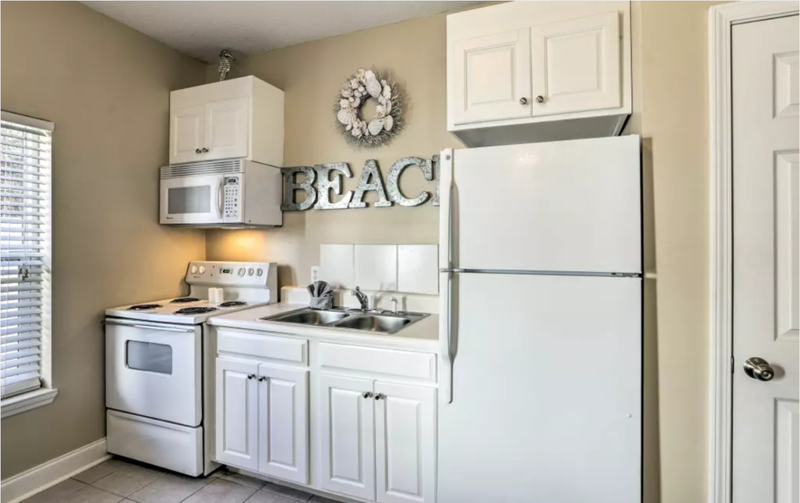 Whether your travel companions choose to feast at the dining table or breakfast bar, they're sure to be impressed by your culinary chops as they take their first bites. 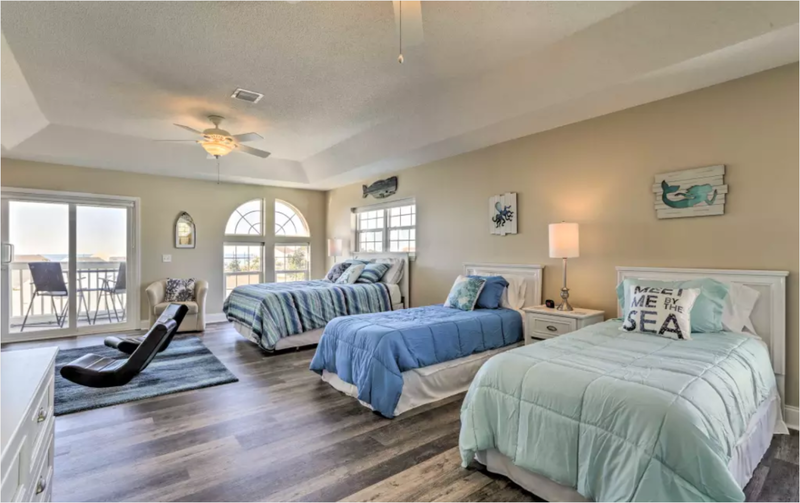 When the sun has finally disappeared below the horizon, retire to the master bedroom and drift to sleep in the plush king bed. 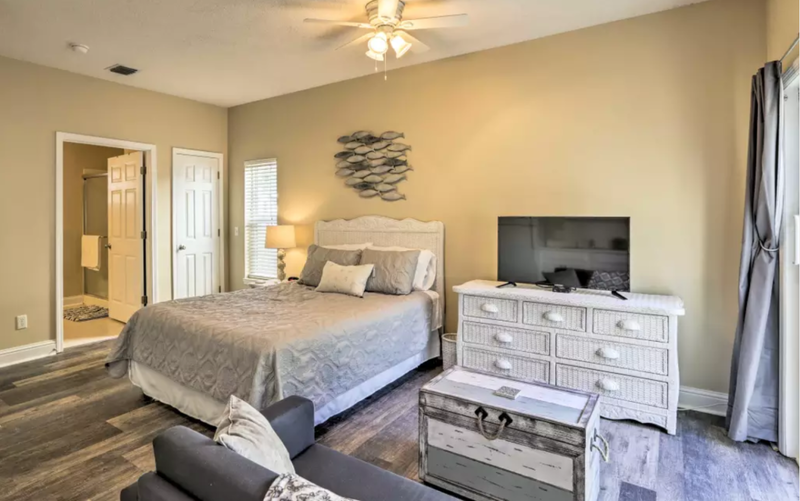 Complete with an en-suite bathroom, flat-screen cable TV, and tasteful khaki and taupe beach decor, the bedroom is a unique hybrid of homey and elegant. Your group's little ones will love hanging out on the expansive third floor. This fun blue and turquoise space's 55-inch flat-screen cable TV, 30+ children's movies, 8-10 board games and 3 luxurious beds provide endless entertainment for the young and young at heart. 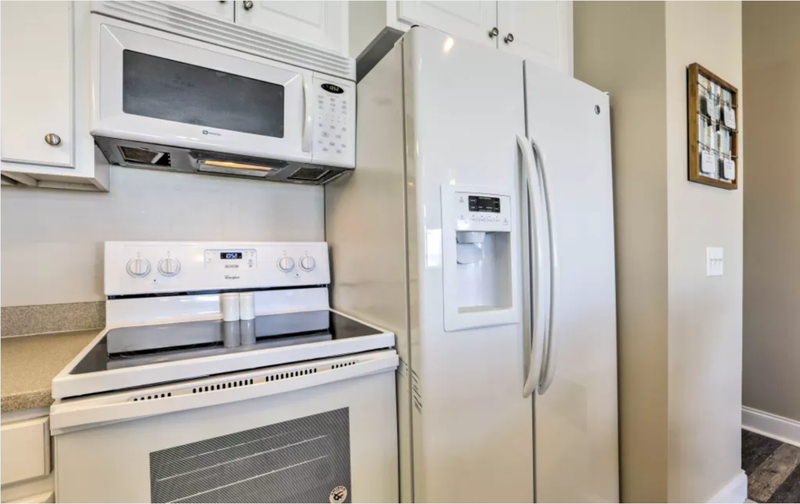 Didn't apply enough sunscreen? 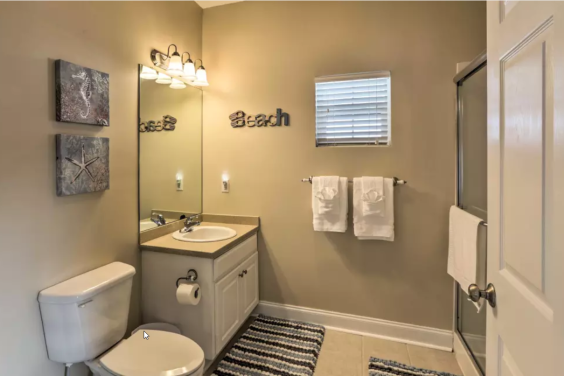 Soak your sunburned legs in the third floor's jetted tub before heading to Pier Park for an evening of shopping and entertainment. 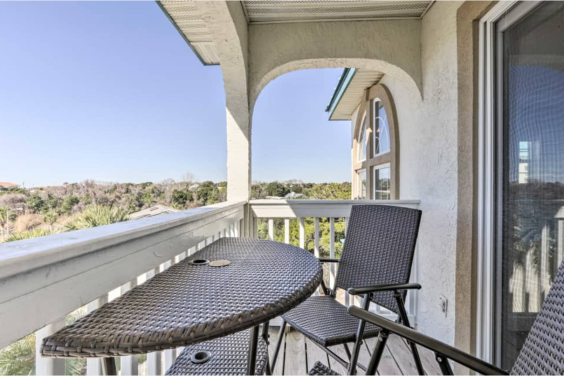 No matter which floor you choose to spend your time on, don't forget to enjoy a meal al fresco. 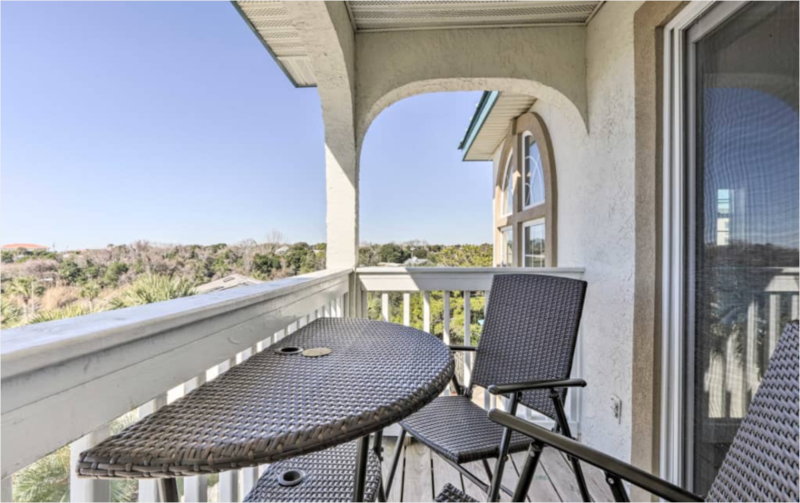 With cozy seating and top-notch views from all three decks, there's no better place to wine and dine with friends. 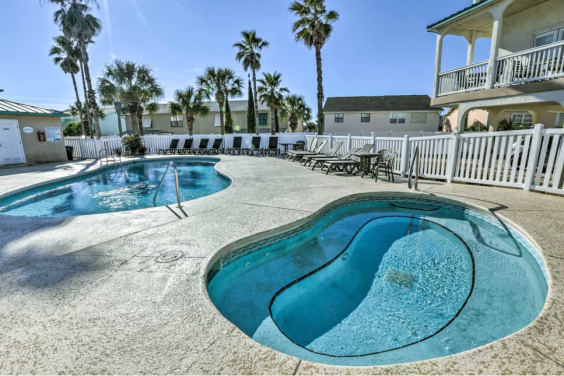 If you prefer chlorine to saltwater, take a short walk to the community pool for an afternoon dip. 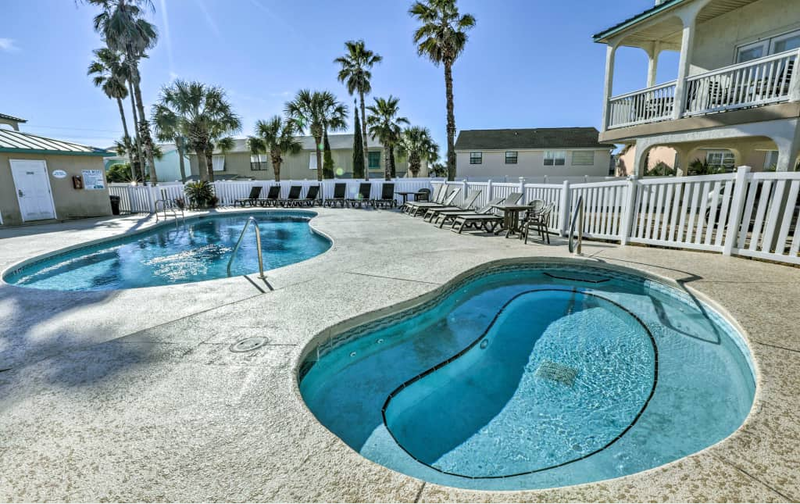 There is also a hot tub, perfect for those chilly Florida nights. 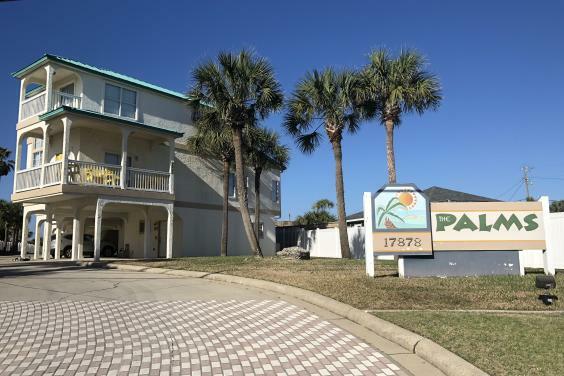 Shop til you drop at Pier Park, a 900,000-square-foot shopping center located just 2.5 miles from 'Bare Feet Retreat.' 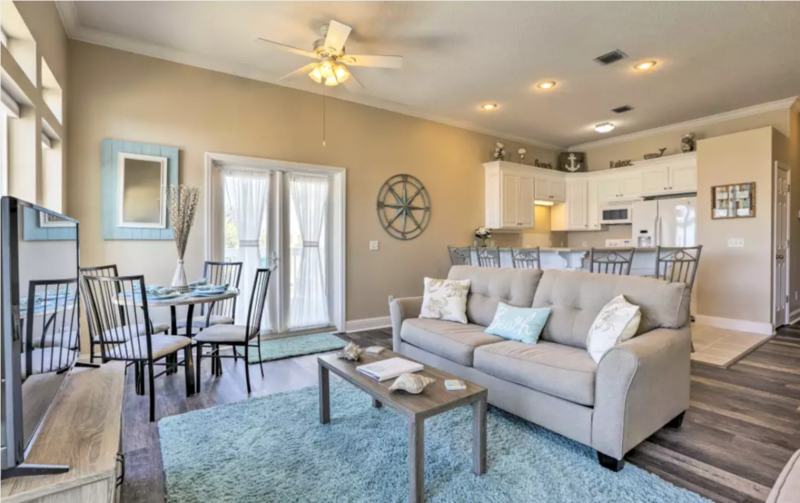 Whether you're looking for high-end fashion, delicious dining, or family entertainment, Northwest Florida's premier shopping destination is sure to provide a top-notch family experience. 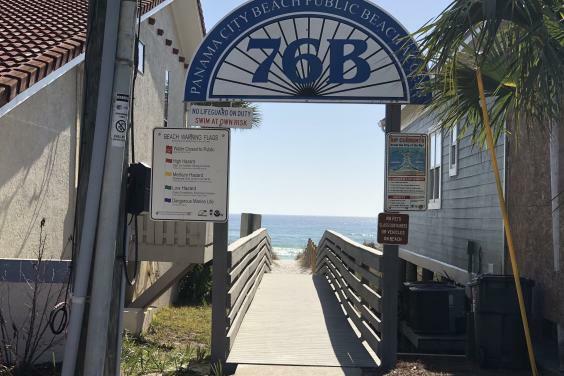 With thousands of students making the pilgrimage to Panama City Beach each year for Spring Break, it is no surprise that the city's nightlife is one-of-a-kind. 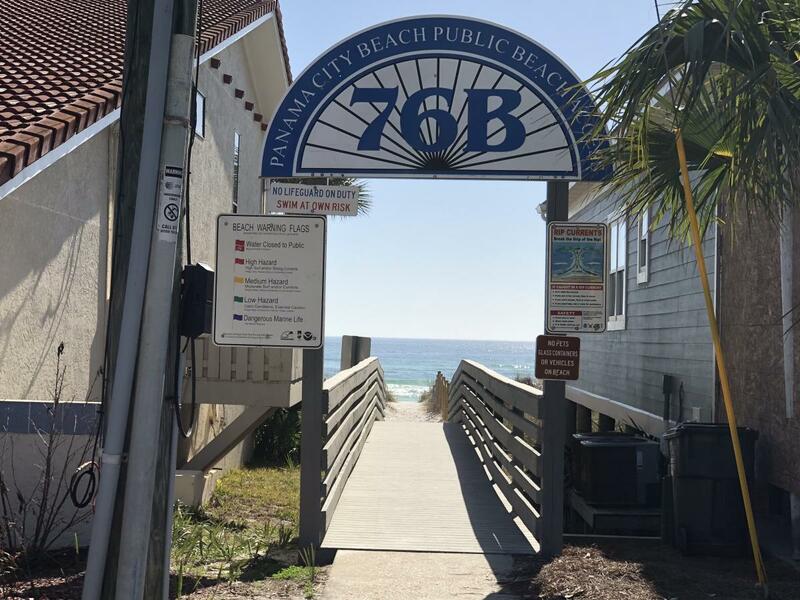 Front Beach Road, PCB's main stretch, is freckled with cocktail bars, pubs, and clubs, making it the perfect place for a bar crawl or rowdy evening with the girls. 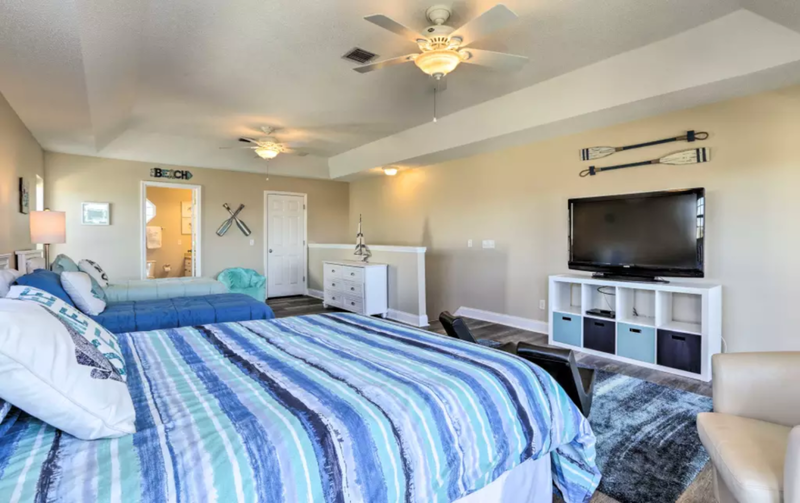 If you prefer dropping a line to waiting to lines, contact Captain Larry Martin at Private Charters Sport Fishing and book a deep-sea fishing excursion you'll never forget. 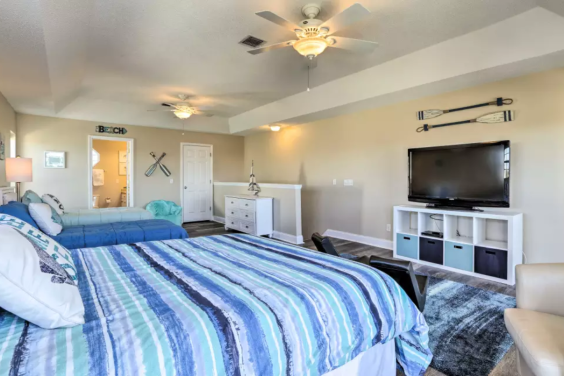 Located just 14 miles from the property, Private Charters Sport Fishing provides 12-hour and overnight fishing trips for groups of up to 6. 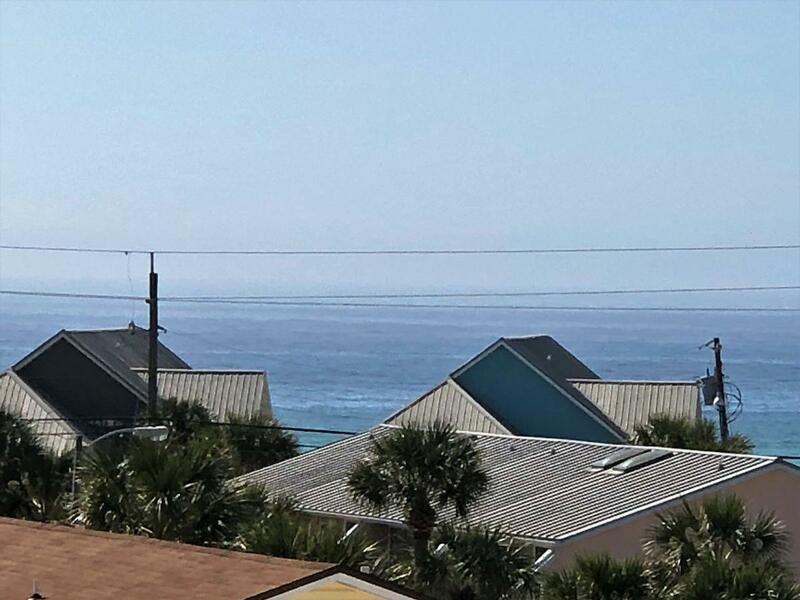 With some of the best deep-sea fishing in the world, the Gulf of Mexico is brimming with grouper, red snapper, Mahi, and more! 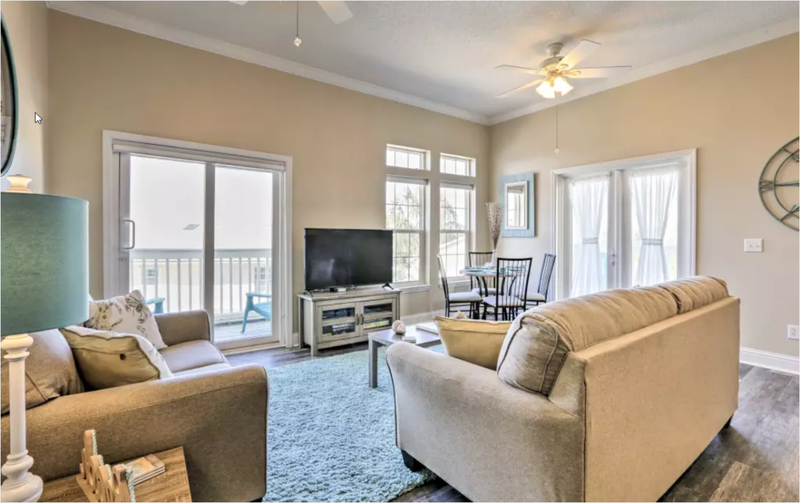 In town for a sporting event? 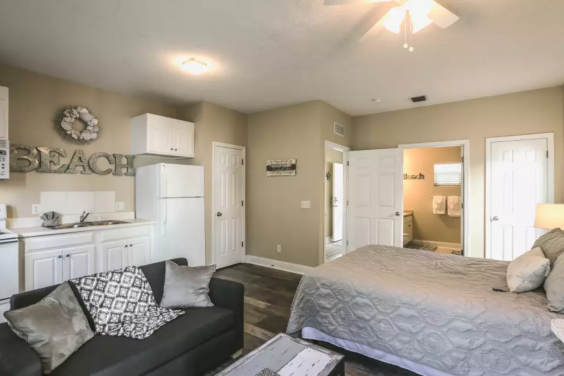 This luxurious townhome is just a stone's throw from the field. 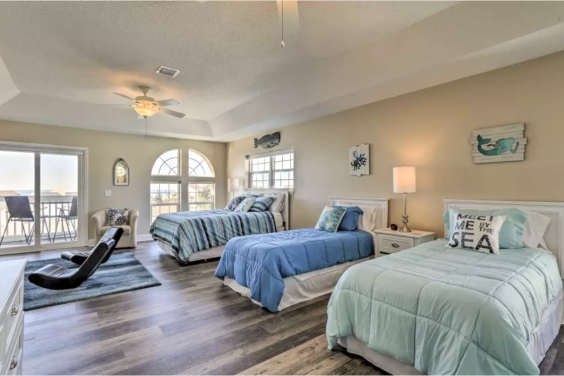 Frank Brown Park Sports Complex, located just 10 minutes from 'Bare Feet Retreat,' is home to 9 baseball/softball fields, 4 multi-purpose football fields, 4 tennis courts, and much much more. 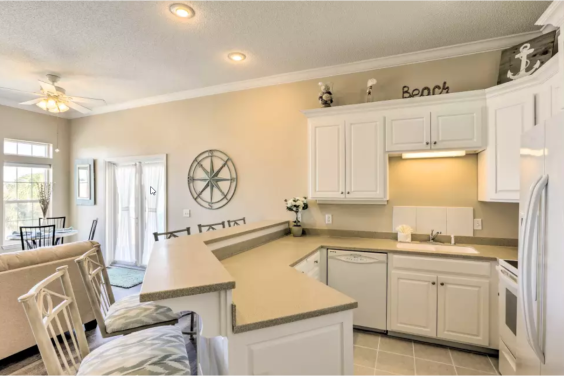 No matter what sport brought you to the Panhandle, you'll be playing on top-notch facilities at Frank Brown Park. 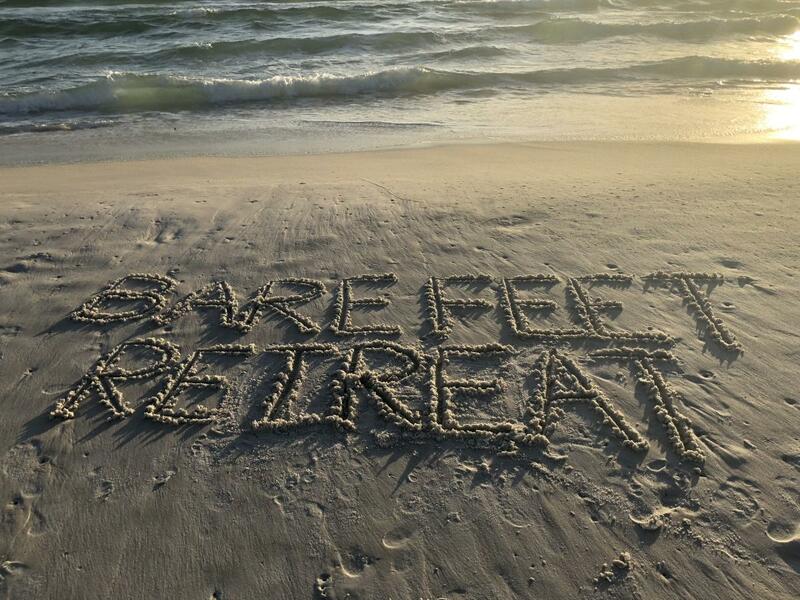 Of course you can’t visit Florida without spending a day lounging by the sandy shore. Luckily, in just a few steps, you can do just that, as this home places you within walking distance to one of Panama City’s beautiful beaches! 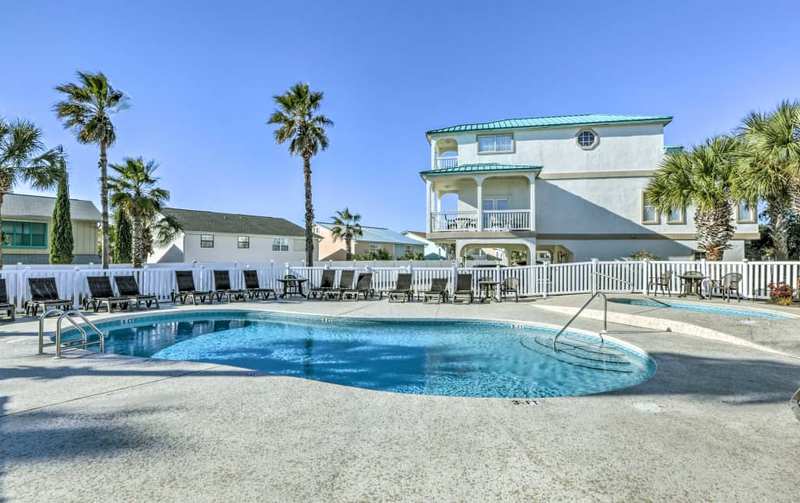 - Amenities include a fully equipped kitchen, well-equipped kitchen, access to a community pool and hot tub, 4 flat-screen cable TVs, 10-foot high ceilings on 2nd and 3rd floors, ocean views, provided beach chairs and cart, 3 furnished balconies, a jetted tub, free WiFi, 30+ children's movies, board games, in-unit laundry machines, a 2-car carport, and much more!